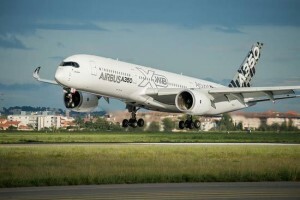 Airbus has produced more than 1,000 flight parts for its flagship A350 XWB aircraft using Stratasys’ FDM 3D Production Systems, the leading provider of 3D printing and additive manufacturing solutions announced on Friday. The aircraft manufacturer initiated development and certification of 3D printing with Stratasys in 2013 as a “schedule risk reduction activity” that enabled the company to increase supply chain flexibility and meet its delivery commitment on-time. According to Stratasys, the parts are 3D printed using ULTEM™ 9085 resin for FDM, which is certified to an Airbus material specification and provides high strength-to-weight ratio. 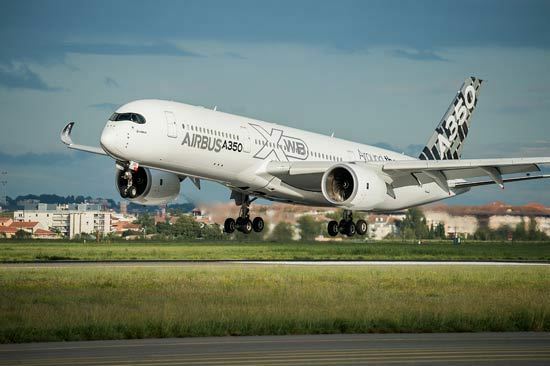 It is also FST (flame, smoke and toxicity) compliant for aircraft interior applications and enables Airbus to manufacture strong, lighter weight parts while substantially reducing production time and manufacturing costs. Leading global companies across a variety of industries are increasingly adopting Stratasys’ additive manufacturing strategies that enable original and replacement parts to be digitally produced at the best suited locations, reducing both material waste and inventory requirements. The adoption of additive manufacturing throughout the product lifecycle translates into significantly lower operational costs and simultaneously accelerates time to market, decentralises production, and adds new innovative product functionality.